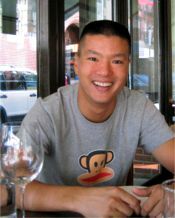 We've all heard the age-old adage, but still, many of us, like Paul Kan, 34, just need to figure it out for ourselves. Kan left the world of corporate finance and Wall Street trading to pursue a longtime interest, photography. What he discovered along the way was an incredible reconnection with his ancestry and cultural history, but also a bumpy road in terms of financial security. The New York native and MIT graduate continues to struggle with what path to take. He said he knows he will always take pictures for himself, but he is not sure if he is cut out for the life of a struggling artist. The little boy, who once dreamed of a being a fighter jet pilot and was named "most American " in his high school, is all grown up and today understands the importance of carefully thinking through decisions. "You know, the grass is always greener on the other side, I've been on both sides and you always think the 'other' life is better," Kan said. He shared more of his thoughts on photography and finding a balanced life in a recent interview. Q: How did you get started with photography? A: I really got started in photography by taking pictures to document my life -- especially taking pictures my last year of high school and my last year of college to remember what i was leaving, although my first "assignment" was at the age of 12, shooting pictures for my sister's prom. Recently, however, after working for almost a decade in finance, I knew I wanted to leave and try doing photography full time. Over the years, I had done some work with Next Model Management, and some other runway and editorial work, but just a few things on the side. Working with Mary Ellen Mark in Oaxaca really inspired me to try doing photography more seriously. So when our company was bought out by First Boston, and I got laid off in the spring, I decided to take some time off and pursue a dream rather than getting another "real" job right away. I went to Asia for six months, and then thought I would get into photography full time. Q: So it has been about 2 1/2 years since you left the world of Wall Street, what do you know now? A: I think what I "know" now is more of a sense of refined consciousness about my cultural history, the struggle for life, and the ability and necessity for each of us to choose our own existence. Also, i realize how it is not easy to live as a creative. Over the last few years, I have spent much of my time traveling and shooting. I spent several months in Europe and made two extended trips to Asia. Being in Asia, gave me a better sense of eastern culture and brought out feelings of being Asian and Chinese, and what that really means. It was like a reawakening and consciousness of all those people that came before me, that was always there before, but just more subdued. When you think of all the hardships and difficulties that our parents and grandparents went through to get us to where we are now, I think you have a renewed appreciation and consciousness for where each of us are now. But most of us are too self absorbed in our own lives to realize that. I also spent a lot of time editing my previous work. Definitely the hardest thing for me has been trying to develop a portfolio that is true to what I want to say, and how I want to present myself. Living in Manhattan, and doing a lot of work with MOMA, has had the most influence on that process. I have found myself gravitating more toward the world of fine art rather than commercial work, and have come to view my own work through that lens. The fine arts world is definitely a better forum for what I am trying to do. But also, unfortunately, fine arts pays a lot less than commercial work, it's difficult to find the right audience, and it's really not a very viable means to make a living. In the aesthetic and creative fields, there is a long road to success and independence. There are so many people out there. Even those known for their work are still struggling. And usually there is a very long road to making a decent income. You have to really want it, or have no other abilities or nothing else to work for. I really believe that we have the power to choose the way our life is going to be. So I have recently been thinking about going back to work in finance. Q: If you went back to work, would you still do photography? A: Yes, ideally if I could get a finance job in Asia, especially Hong Kong, then I could still do my Asia documentary projects on the side. Anyway, my photography has always been more for me than for anybody else. I have been doing some commercial work, but in the past year, I have really realized that what I prefer is more documentary fine arts work. Q: What advice do you have for people interested in entering photography? A: Try it when you are younger and in school, when you have a peer group because there is a lot of synergy and ways to learn around you. Study the aesthetic tradition. It is also easier to get into the field when you are younger because you are more willing and able to do things for nothing. It is less about the income and more about learning. And remember to just go and shoot. Look at what you do and be your own critic..shoot for yourself. Q: For our readers we have to ask, what is your ideal woman? A: Someone who knows who they are, what they want, someone who has their own identity. I like someone who is strong and proactive, who has her own interests and views and opinions. Because I grew up in a predominantly white neighborhood, I never really dated many Asian women. Recently, that has changed, and I now have an appreciation of the Asian aesthetic and of being Asian and with identifying with Asians. It is a newfound sense of consciousness and pride. A: "My Life as a Dog", by Lasse Hallstrom. What I love about this film is in its portrayal of the concept that no matter how difficult and tragic life may be, there is always a much worse existence relative to where we are, and that we should therefore be thankful. What is most powerful about the film, however, is that this idea is presented and seen through the eyes of a 6-7 year old boy. Q: How about music? What is in your CD player right now? A: These days, since I have an Ipod, I hardly even use my CD player. But I am a huge fan of opera and classical music, like Gounod's "Faust", Saint Saens' "Samson et Dalila", and recordings of the superb violinist Anne Akiko Meyers. On my trips through Asia, I have picked up dozens of local artists and asia pop, so I have been working my way through each of them. I have also been listening to older Chinese and Japanese songs from artists like Teresa Teng and Misora Hibari. I love to get music from the places I travel through. Listening to the music and watching the films of a place helps to get a sense of what those people's lives, and really what their dreams, are all about. I like to feel a certain consciousness about that, as i hope my photography conveys. Q: And lastly, how are you a little bit East and a little West? A: My mom was born and raised in Chinatown here in New York, and went to Cornell. My dad is from Shanghai, but grew up in Yunnan, Guangxi, HK and went to MIT, but as his parents were well educated (his dad went to Harvard, and his mom went to Yenching), he was already very westernized and spoke english from an early age. I was born in Manhattan, but we grew up in Westchester County, NY., and I think there were less than a dozen other Asians in my whole school. Our parents really tried hard to assimilate into the culture, and I think they almost assimilated too well. We grew up very Americanized. So I think I have simply continued my parents path to assimilation. In the western sense, and just being in New York City, I have that mindset where you are not going to let anything stop you, and you do what you want. The eastern side of me is more about discipline, balance, work ethic, and family importance and responsibility.